Peter Fisk is a global business thought leader on leadership and growth, innovation and marketing. He is a bestselling author, expert consultant and keynote speaker, helping business leaders to develop innovative strategies for business and brands. Having trained as a nuclear physicist he went on to work with brands from Coca Cola to RedBull, Microsoft to Pfizer, Virgin to Vodafone. He is a professor at IE Business School where he is Academic Director of their flagship executive leadership program, runs his own innovation company, GeniusWorks, and is Thinkers50 Global Director, which brings together the best ideas in business. 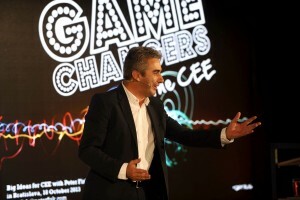 Peter Fisk is a global thought leader in leadership and strategy, innovation and marketing. He is a bestselling author, expert consultant and keynote speaker, helping business leaders to develop innovative strategies for business and brands. He is a thinker, advisor and practical entrepreneur. 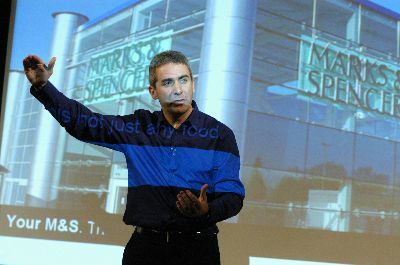 He is Professor of Leadership, Strategy, and Innovation at IE Business School, one of the world’s top ranked business schools, whilst also founder and CEO of GeniusWorks, a boutique consulting firm, helping clients around the world to make sense of fast-changing markets, and find new ways to think, compete and win. 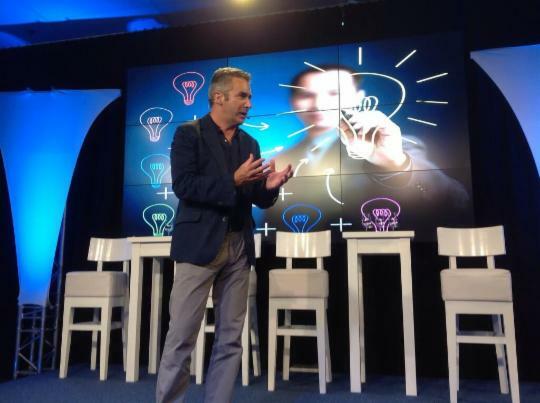 He is Director of Thinkers50 Global which brings together the best ideas in business by working with the world’s top academics and business leaders, and hosts the European Business Forum each year. 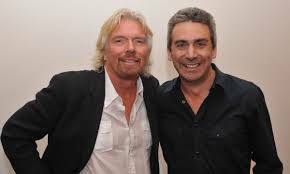 He also features on the Thinkers 50 “Guru Radar” as one of the world’s top business experts. Having trained as a nuclear physicist, Peter moved to managing brands like Concorde at British Airways, helping Microsoft to adopt a value-based marketing model, and Virgin to launch into new markets. He has worked in every sector and region of the world. As CEO of the world’s largest marketing organisation, the Chartered Institute of Marketing, he became a global authority on what’s best and next in business and markets. Finding his own space, he founded GeniusWorks, with offices in London and Istanbul. He works with businesses in every sector, food to fashion, skincare to stock exchanges – brands as diverse as Aeroflot and Coca Cola, DSM and GSK, Mars and M&S, Philosophy and Red Bull, Sabre and Santander, Tata and Turkcell, Virgin and Visa, Vodafone and Yapi Kredi – to think bigger and smarter, develop innovative strategies, bolder brands, and accelerate growth. Peter’s new book “Gamechangers: Are you ready to change the world?” explores the next generation of brands, shaking up markets, innovating and winning in new ways. Based on 100 global case studies, it explores the challenges of new markets, changing customers, brand building, new business models, real-time marketing, harnessing social media, inspiring leadership and positive impact. It has been nominated for MT Business Book of the Year. His other books include “Marketing Genius” explores the left and right-brain challenges of success, and is translated into 35 languages. It was followed by five others – “Business Genius” on leadership and strategy, “Customer Genius” on building a customer-centric business, “People Planet Profit” on sustainable innovation – and most recently “Creative Genius” defining what it takes to be Leonardo da Vinci in the 21st Century. Growing up in rural Northumberland, in the north of England, Peter has a love of running that has taken him from a youthful mile champion to still running every day, 30 years later. He now lives in Teddington, to the west of London, surrounded by the Royal Parks of King Henry VI and his hunting deer. He is married with two teenage daughters, who keep him real and in touch with the Snapchat, Netflix lifestyles of Gen Z. Inspired by his first job in the airline world, he loves to travel far and wide, indulge in Asian food, together with a very cold Sauvignon Blanc. His favourite brands range from Ashmei running gear to Rapha cycle club, Paul Smith’s fashion design and House Café in Istanbul, New York’s MOMA to New Zealand’s great Moa Beer. And not forgetting, of course, Apple and Nespresso, Nike and Tesla! Peter was described by Business Strategy Journal as “one of the best new business thinkers”. His advice is sought after by business leaders around the world, he adds specialist expertise to key projects, combining new ideas with practical action, inspiration and impact. Helping you to find your own space, to be leaders of change – to be bold, brave and brilliant. Peter grew up in the rural countryside of Northern England, a small town called Rothbury, where his first love was to run. From schoolboy one mile champion to long distances, he loved the freedom of the outdoors, of working your body hard, and achieving the best you can be. He continues to run almost 40 years later, maintaining a deep interest in the sport, whilst also applying it to his current work. He started his business career at British Airways, after an initial foray into the world of nuclear physics. In the airline, he worked across sales and marketing, including development of the Executive Club relationship marketing programme, brands such as Club World and Concorde, and a new business strategy to address the new challenges of globalisation, low cost entrants, and new technologies. Some of the innovations which he worked on included exploring new ways to create flat beds on aircraft (learning from a yacht designer), to improve the airport experience (fast track through baggage and security), and setting up a low-cost airline (Go, as a subsidiary business with a new business model). He then joined PA Consulting Group, helping some of the world’s leading companies to develop more innovative business strategies and customer-centric businesses. As leader of PA’s global marketing consulting team, he led the creation of market-shaping strategies, the repositioning of brands, and introduction of new products and channels. He led PA’s approach to customer-centric business transformation, and also established the Centre for Customer Excellence, developed a spin-off venture business, Active, and a transformational leadership programme, Mission Possible. Peter has addressed the key issues in almost every sector, from Silicon Valley to Singapore. 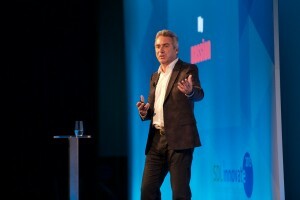 Examples of his experience includes introducing a customer-centric change programmes at BT and Orange, value-based marketing framework for Microsoft, the reinvention of food for Marks & Spencer, a new customer strategy for Sainsbury, services strategy for O2, and a new brand strategy for Shell. He helped Virgin enter the financial services market, American Express to embrace new approaches to innovation, Vodafone to enter new international markets, also BT to develop its Marketing Excellence programme and community, Royal Mail to prepare for competitive markets, and Philips transform from product-driven techies to market-shaping innovators. As CEO of the Chartered Institute of Marketing, Peter became recognised as a leading expert and commentator on marketing worldwide. Representing over 60,000 marketers in 130 countries, he challenged existing perceptions of marketing, and championed new practices and standards. He drove significant change in the profession introducing new capabilities and qualifications, supported by a Knowledge Hub, an online learning product, a new journal The Marketer, and the Shape the Agenda thought leadership programme. In particular he encouraged marketers and business leaders to embrace customers and brands as the most important source of long-term shareholder value. He became a Partner of The Foundation, a customer-centric strategic innovation firm, where he continues to work as Associate Partner, and was also Group Managing Director of Brand Finance, the specialist brand effectiveness and valuation firm. During this time he also wrote the Marketing Society’s Manifesto for Marketing, and an industry wide approach to business reporting of customer and market metrics, called Customer Capital. Peter’s bestselling book Marketing Genius (Wiley/Capstone, 2006) is currently being translated into 22 different languages. It describes how a more left and right-brain approach to business can achieve extraordinary results – what today’s businesses can learn from Einstein and Picasso, and their modern contemporaries such as Steve Jobs and Philippe Starck. Business Genius followed (Wiley/Capstone 2008) and explores the challenges of leadership and strategy in turbulent times. He has authored around 40 published papers, is the co-author of The Complete CEO (Wiley/Capstone, 2006) and contributing author to The FT Handbook of Management (Pearson, 2004), Business: The Ultimate Resource. (Bloomsbury 2006). Customer Genius (Wiley/Capstone, 2009), focuses on how to build a customer-centric business, one that embraces customer insight at the heart of strategic decisions and learns to do business on customer terms – “outside in” – what, when, where and how they want. This is supported by a new range of toolkits, blueprints, and live events. People Planet Profit (Kogan Page, 2010) describes how to embrace social and environmental issues to drive smarter innovation and profitable growth – to make money by doing the right thing. It was written in collaboration with Diana Verde Nieto (founder of Positive Luxury), Anthony Kleanthous (WWF), Hannah Jones (VP Nike Sustainability) and many others. Creative Genius (Wiley/Capstone 2011) rethinking innovation from the future back, learning from Leonardo da Vinci, and some of the most inspirational artists and musicians, designers and innovators in the world today.It includes a complete innovation process, the Genius Lab, and lots of creative, design and evaluation tools. Peter is an inspirational speaker on all aspects of marketing – customers and brands, strategy and innovation. 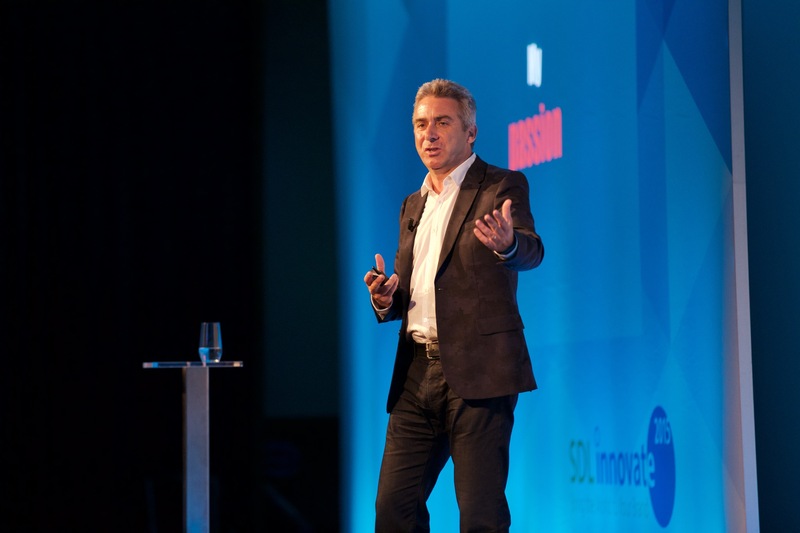 He is thoughtful and considered, provocative and entertaining, and has delivered keynote speeches for companies and conferences, from London to Paris, Istanbul to Singapore. His business GeniusWorks is all about “accelerated innovation” – helping business leaders and market managers to rethink, refocus and recreate their businesses for the fast changing world – customer-centred, future-proofed, more creative and commercial.Strategic consulting is driven by the issues and ambitions of each client, however are typcally based on a range of proven, successful approaches – FastFutures (business futures, vision and strategy) , BrandStrategy (brand strategy, definition and development), Innolab (creativity, design and business innovation), and CustomerWorld (insight, proposition and experience design)- accelerated and collaborative process that embraces insights, innovation and impact – applied to everything from strategic innovation and brand strategies, to value proposition development and customer experience design. Recent clients include new strategies for Philosophy (new global direction for inspirational beauty brand), Cinnamon (new brand strategy for boutique Asian hotel chain), Davidoff (reinventing a classic men’s luxury brand), Marks & Spencer, launching new beer with Fosters Group, developing a green brand with Vodafone, a new brand narrative for Tata Steel, and many others, particularly in finance, retail and technology sectors. Peter also delivers a wide range of executive development, coaching and consulting services, helping companies to apply the ideas in the books in a relevant way to address their issues and drive profitable growth. Most recently Marketing Genius was adopted by The Coca-Cola Company, where Peter helped their senior marketers worldwide to establish the new Coca-Cola marketing DNA . 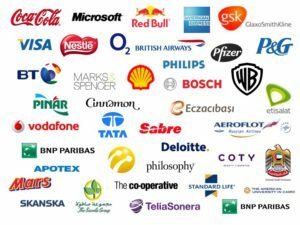 Other recent clients include the leading ethical bank Cooperative Bank, supporting their customer-centric strategy, travel firm Lastminute.com as they develop new European markets online, and innovative brand Red Bull to think more innovatively. Peter was engaged by The Marketing Society to create a new Manifesto for Marketing, which he built around the pillars of marketers as Growth Drivers, Business Innovators and Customer Champions. To help companies make it happen, he launched The Fast Track which is an accelerated executive development programme, bringing together the best and emerging practices in all aspects of marketing, innovation and business. It is delivered in fast, inspirational workshops by Peter and a team of experienced business and marketing professionals. It is available as open programmes, and also as customised in-house programmes, to meet the needs of individual companies. InnoLab is a workshop-based approach to accelerated innovation, a consulting process that helps clients to address strategic challenges in more insightful, collaborative and faster ways. In 2008 he launched Brand Genius, to focus on the “yin-yang” challenges of strategic innovation which brings together the strategy and creativity of the Genius Works with the analysis and business cases of Brand Finance. Zoom Ventures was launched as an innovation incubator to support “social entrepreneurial” businesses in partnership with leading investors and brands, and including sustainability experts Clownfish. 2009 saw the launch of the Gamechanger Lab to deliver inspirational executive retreats that help business leaders to refresh, rethink, and reenergise themselves – and to harness the new opportunities of new markets, social networks, sustainable innovation and more – the new opportunities, rules and aproaches that will drive success in 2010 and onwards to 2020. Peter Fisk joined the Thinkers 50 Guru Radar in 2013, recognised as one of the best emerging business thinkers in the world. In 2014 Peter became a Visiting Professor of IE Business School. IE is ranked the number one business school in Europe by both Bloomberg and FT. It takes a more contemporary, experiential and applied approach to business education, and in particular helping business leaders to accelerate their own careers as well as their business growth. He leads IE’s flagship executive leadership program, the “Global Advanced Management Program”, and also a range of other open and custom programs focusing on strategy, innovation, brands and marketing. He launched a number of open programs including Rethink Business, Gamechanger Strategies, and the Business Innovation Program which is delivered across multiple locations with Hasso Plattner Design School and Nordic Executive Academy. Gamechangers (Wiley 2015) is the culmination of a 24 month research program, to understand what the most innovative companies are doing today – how they bring together all the best ideas and approaches to shake up their markets and win in new ways. The frameworks and content are built on the insights from 100 disruptive companies, winning in 10 different sectors from every part of the world. The book was nominated for marketing book of the year before it was even launched. The book is brought to life through keynotes, workshops and consulting projects, delivered by himself, as part of GeniusWorks, or with partners like business schools. It is also kept fresh through ongoing regional competitions to find the best new innovations (in Central Europe, for example, the Gamechangers competition unearthed Aeromobil, the flying car from Bratislava! ), as well as co-creation and community online. Peter is 50 years old, married to Alison with two wonderful daughters, and now lives in Teddington, just outside London. He is a passionate Newcastle United supporter, never far from his iPad, and whilst a committed and successful long-distance runner, still has a taste for good food and drink. What you can be sure, is that whether listening to Peter speak, or working with him to solve problems and improve your business, he brings boundless energy and inspiration, together with lots of deep insight and practical experience.